PowToon media library innovative feature just released! Isn’t amazing that they are changing from time to time to please us? Yes, indeed and it’s getting friendlier to the average peps that don’t have any animation skills. Recently, they released a new user interface with a lot of features including the media library. To get started, open your PowToon editor by going to dashboard, simply click the create or edit button (if you have an existing one) then point your mouse at the bottom right menu with an image icon. They also have a image holder feature which allow you to insert an image inside the frame. To check other PowToon image holders, simply click drop down arrow to see the different lists of styles e.g Sojo. 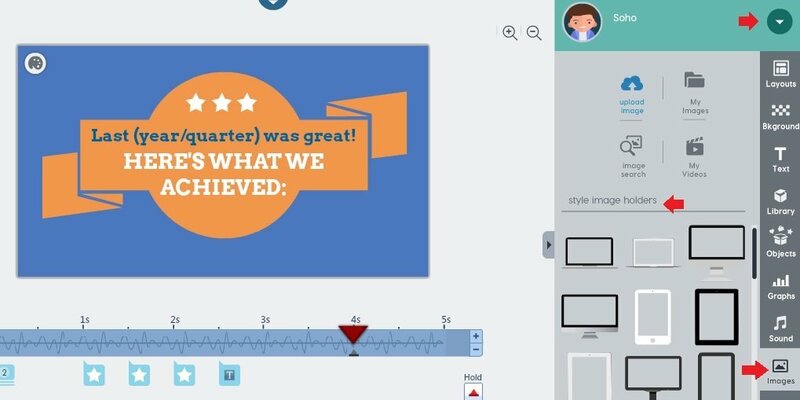 Below are the 4 ways to use Media Libraries in PowToon. Upload Images – This allow you to upload your custom images. Make sure you use .png, jpeg, gif or .swf (action script 3) for animated characters. 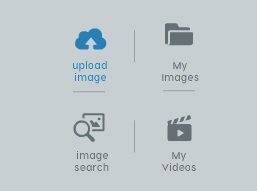 My Images – This will let you reinsert the imported images in the PowToon’s media library. Search Images – This feature will allow you to search a FREE and premium images. If you don’t want to get additional charge, just stick to FREE ones. My Videos – This cool PowToon features will let you import your custom mp4 format or even an embed YouTube video inside the PowToon. However, this works on slideshow mode only.